Paycheck garnishment can be a decided hardship and it might feel like a violation of your rights but it’s a perfectly legal option available to creditors as well as to certain government entities. They can garnish your wages to collect money you owe if you fail to pay a debt. Creditors must file a lawsuit and take you to court first, but when they get a judgment against you they can use it, sometimes to garnish wages without notification, although you must receive notice of the lawsuit that started it all and you might receive a copy of the garnishment order that’s sent to your employer. These garnishment rules do not apply to bank accounts, but only to earnings. A second creditor can only garnish your wages at the same time under unusual and rare circumstances. Can I Be Garnished Twice at the Same Time? Federal law restricts the amount of money that can be garnished from your paycheck but it doesn’t technically restrict the number of creditors that can garnish at the same time. Instead, it places caps on how much can be taken from your pay. If the first creditor’s garnishment reaches these limits, the next one is out of luck. It must wait until the first garnishment is completed – your debt has been paid in full – before it can take any of your pay. The law doesn’t prioritize creditor garnishments. It’s first to come, first serve. Federal law also protects you from being fired from your job due to paycheck garnishment, but only for one debt. Your employer is free to terminate you for subsequent garnishments. Some entities fall outside the parameters of U.S. garnishments law. For example, your state government and the Internal Revenue Service are not required to first get a court order against you to garnish your wages for tax debts. The IRS won’t garnish your wages without notification, however. You should receive several notices of the government’s intent at least 30 days before garnishment begins. Garnishments by the U.S. Department of Education for defaulted student loans are limited to 10 percent of your disposable income. Other federal debts besides taxes are limited to 15 percent. In both cases, this can work out to less than creditors are entitled to. Individual states have their own garnishment laws and they can sometimes conflict with federal law. The kinder law prevails when this happens. For example, if U.S. law would allow $30 to be garnished from your pay while your state’s law caps it at $20, your state’s law would take precedence. This is really good news if you live in Pennsylvania, North Carolina, South Carolina or Texas because these states don’t allow any creditor garnishments at all. And you're most likely safe as well if your only income is Social Security benefits. This income can only be garnished for federal tax debts. The applicable federal law that governs paycheck and payroll garnishment is Title III of the Consumer Credit Protection Act or CCPA. This is the law that limits the amount of money that can be garnished from your disposable income. Your disposable income is not your entire paycheck. It’s what’s left over after withholding for taxes and any other deductions that are required by law. This typically means income taxes, Social Security and Medicare taxes and state unemployment taxes. Unfortunately, “voluntary” deductions don’t count, such as those for insurance contributions or even union dues and retirement contributions unless they’re required by law. CCPA garnishment limits are either 25 percent of your disposable earnings or the amount that exceeds 30 times the federal minimum wage which is $7.25 an hour as of 2018. So a creditor can only garnish your disposable income over $217.50 ($7.25 times 30) up to $290 ($7.25 times 40 hours) unless your disposable income is in excess of $290. In this case, the creditor is limited to 25 percent. Here’s an example, assuming your earnings fluctuate from week to week. In Week 1, your disposable income is $217.50. Your pay cannot be garnished. Your disposable income doesn’t top the $217.50 limit. In Week 2, your disposable income is $250. A creditor can garnish $32.50 or the difference between $250 and the $217.50 limit. Your disposable income is still below $290. If your disposable pay is $300 in Week 3, the creditor is limited to garnishing $75, not the difference between $300 and $217.50. That would work out to $82.50 and 25 percent of $300 is only $75, so this is all the creditor can take – it's limited to that 25 percent cap. If one creditor garnishes up to the allowable limit, a second one can’t come along and garnish another 25 percent on top of that or an equal amount over the $217.50 threshold. The only way a second creditor could also garnish your wages is if the first one didn’t garnish up to these limits and it would be limited to whatever was left over. For example, if the first creditor could garnish up to $32.50 but for some reason only garnishes $30, the second creditor would be limited to garnishing just $2.50. The CCPA was enacted in 1968 so it's been around for quite some time. It's been expanded three times, including the addition of Title III, but no major changes were made in 2017. Child support is a whole different ballgame. This type of debt also falls beyond the scope of the CCPA’s rules for other creditors. 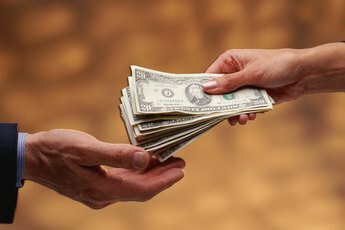 Up to 50 percent of your disposable earnings can be garnished for past due child support, assuming that you’re also supporting another child or a spouse who isn’t legally on the hook for the child support order in question. Otherwise, up to 60 percent of your disposable earnings can be garnished and this increases to 55 percent or 65 percent if the child support debt is more than 12 weeks old. In this case, an additional 5 percent can be tacked on. Top Tax Defenders: Can I Have Two Wage Garnishments at One Time? What Happens if I File for Bankruptcy and My Wages Are Garnished? "If My Wages Are Being Garnished by a Creditor, Can My Tax Refund Be Taken?" "If a Creditor Garnishes Your Wages, Can You Settle With Them?" How Much Can Be Garnished From Your Wages in California? Can My Wages Be Garnished if I Can't Pay My Mortgage? 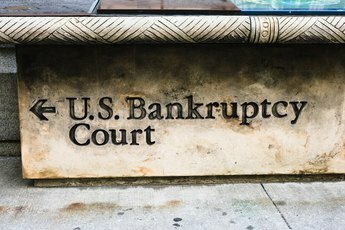 Which Is Worse: Garnishment or Bankruptcy? 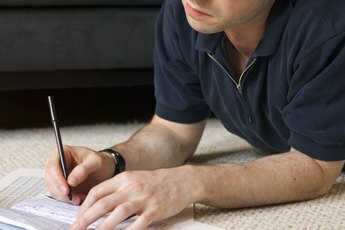 Can My Boyfriend's Taxes Be Garnished for My Defaulted Student Loan?